One of our favourite jobs is the design, construction and restoration of inglenooks and feature fireplaces. 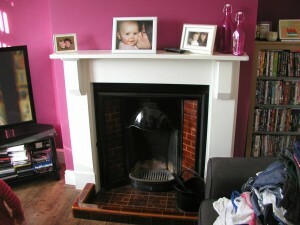 A fireplace is very much the heart of a house and reflects the style of the property. Inglenooks were originally very practical areas where the household could cosy up to the fire in the depths of winter. With the advent of central heating many old inglenooks were blocked or boarded up, wood burning and coal fires replaced with electric heaters. Uncovering the original inglenook and then restoring and improving on the original prior to the installation of a new woodburner is particularly satisfying. 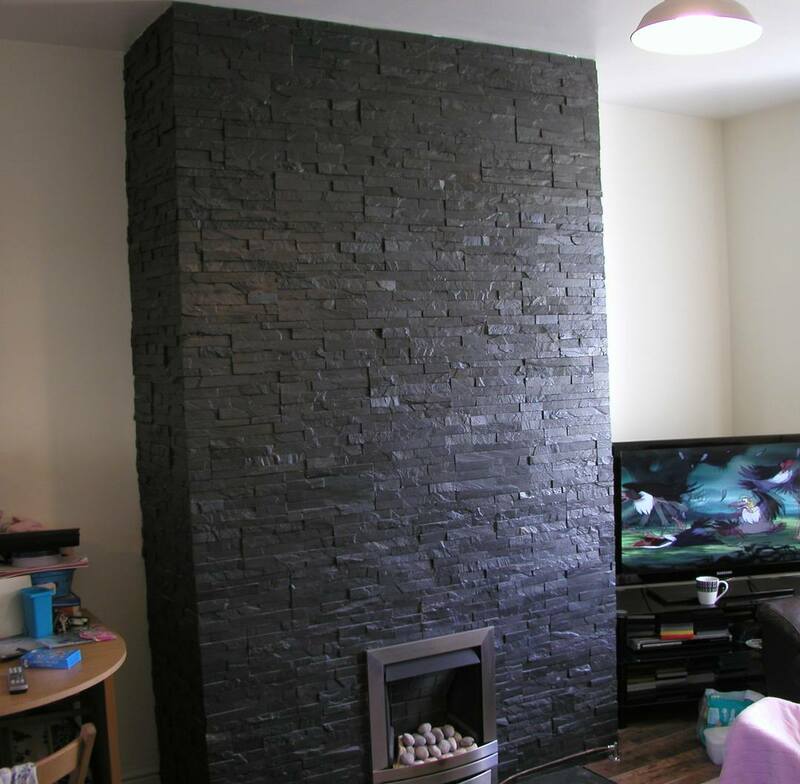 Reflecting the importance of slate in the history of Gwynedd and North Wales, we tiled this plain and boring chimney breast with slate providing a strong central feature to room. The fire is a ‘living flame’ style (near floor level) gas fire. In brushed steel it compliments the dark blue / black of the slate perfectly. 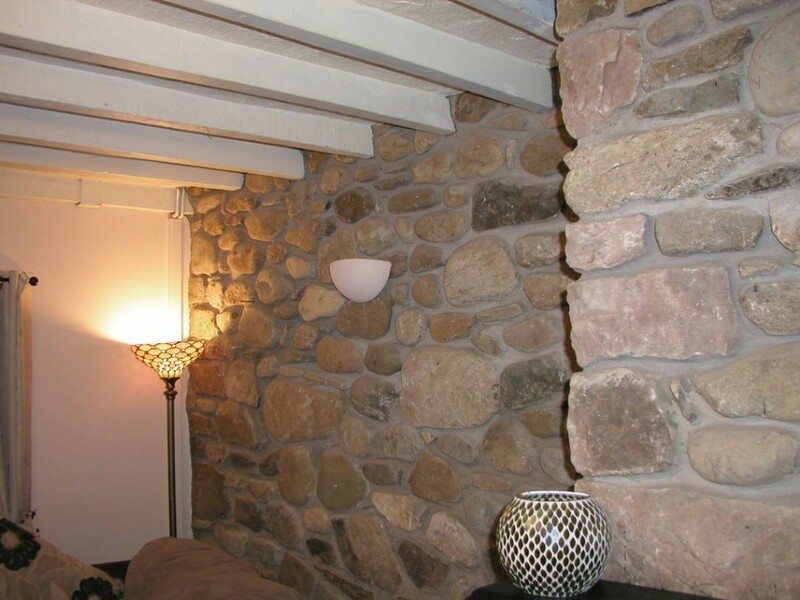 This involved construction of a stone chimney breast with the slate hearth under the new woodburning stove. 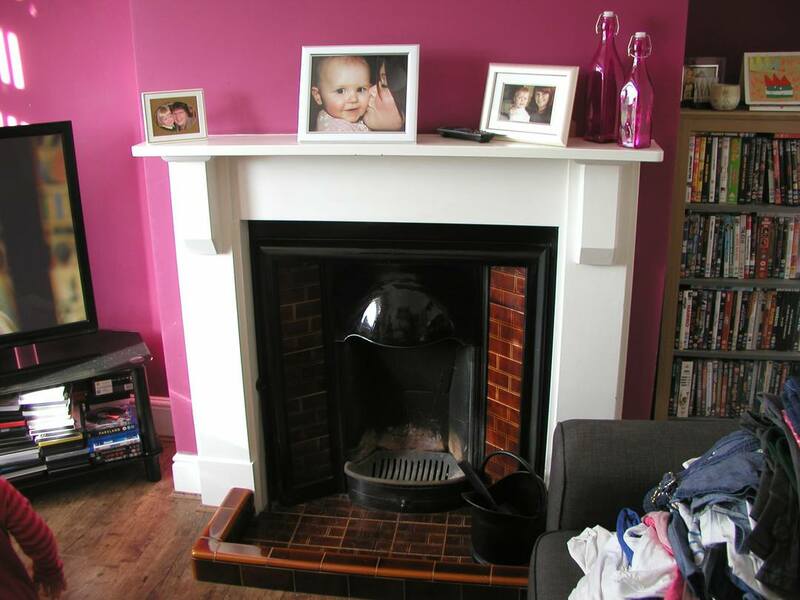 Note the matching mantlepiece shelf and hearth surround. The original stonework required work and finally re-pointing. The feature wall enhances the room and connects to the fireplace making it integral rather than a separate feature. This plain, almost minimal, white fire surround complements and enhances the black framed traditional open fireplace and hood with warm red tiling. Technically not a very challenging project to our experience, nevertheless the final result was satisfying and provides an attractive focal point to the room. 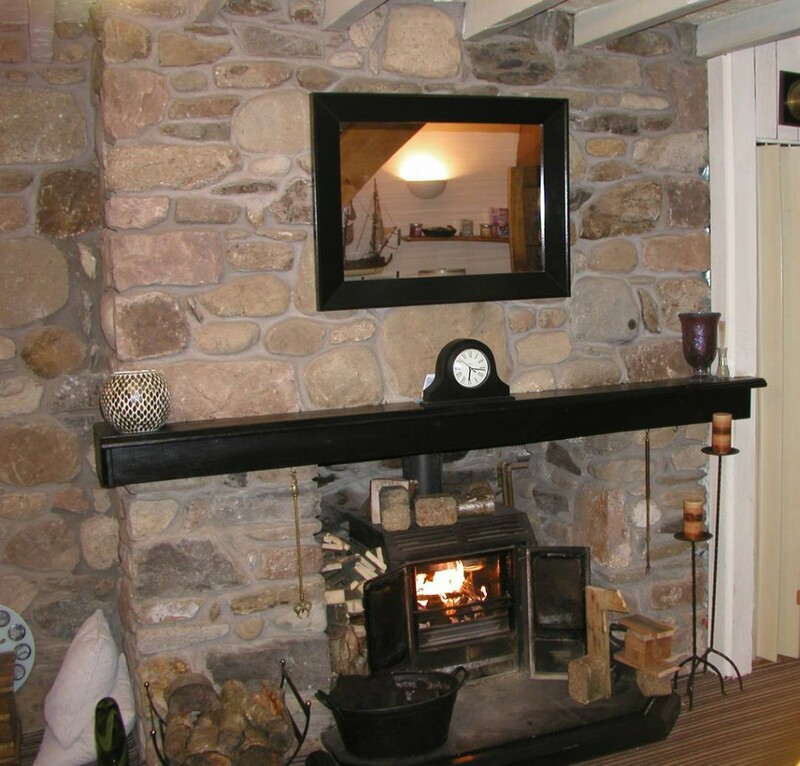 We undertake Design & Build of Inglenooks and Feature Fireplaces in Gwynedd, Anglesey and Llyn Peninsula including Criccieth, Pwllheli, Abersoch, Aberdaron, Nefyn etc.